The future of 2222 Oakton St. remains uncertain after Monday’s Administration and Public Works meeting, in which aldermen delayed action on the termination of the location’s current lease with Smylie Brothers Brewing Co. According to city documents, the lease — which commenced in January 2017 — was meant to last 10 years at a monthly rent of $13,645.83, with the first 18 months rent-free to accommodate construction. Last month, however, company owner Michael Smylie wrote to the city requesting a termination of the lease due to his lack of funds. 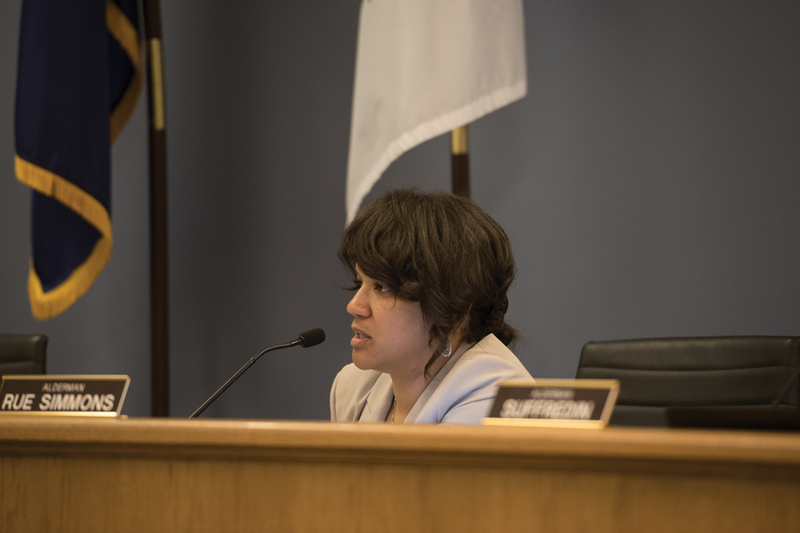 Aldermen voted against the immediate termination of the lease, deciding instead to look into specific termination strategies and re-evaluate in two weeks. Smylie Brothers claimed its lease contained a mutual termination clause. However, city staff argued the clause no longer applies since the 18-month exit period is over, according to city documents. Johanna Leonard, director of community development for the city, added that the company has not been paying the taxes agreed upon in the lease. Ald. Thomas Suffredin (6th) said the company would need to compensate the city for the breach of its agreement. By the terms laid out in the lease, the city would receive $1.4 million in rent over the next 8.5 years, Suffredin said. He said that number should be kept in mind in negotiations of the termination payment. City staff identified several options for the property including holding Smylie Brothers to the lease terms, initiating a new lease and demolishing the location. Several other businesses are interested in the Oakton Street location, including First Ascent Climbing and Fitness, a Chicago-based rock climbing gym. The locally owned and operated business has four locations in Chicago and hopes to expand to Evanston, co-founder Jonathan Shepard said at Monday’s meeting. Shepard added that First Ascent has been interested in 2222 Oakton St. since 2015, when the city first started taking proposals for the location. “We’ve had a number of our members actually express interest in Evanston … saying that they think this would be a fantastic fit,” Shepard said. He added that they are particularly interested in the location because of the high ceilings and size of the building. According to city documents, two other parties have expressed interest in the property: a coworking fitness center and Evanston restaurant Peckish Pig. City manager Wally Bobkiewicz said the city will look into options for lease termination and the committee will reconvene May 29 to make a decision on the property’s future. Until then, aldermen delayed action on the resolution to approve a mutual termination. Ald. Robin Rue Simmons (5th) spoke in favor of collecting the agreed-upon taxes from Smylie Brothers and pursuing new businesses for the location, noting that holding onto the lease would prevent the property from reaching its full potential.